In the motorsports industry sponsors make the world go around. It’s literally that simple. A healthy base of sponsorship funding typically translates directly into having the resources needed to be successful on the racetrack. Without sponsors you won’t be on the racetrack at all. Everybody who has worked in racing understands the reality of this dynamic and the importance of maximizing every opportunity available to strengthen these partnerships. To ensure the health of these relationships you must execute every detail of your agreement – and then some – to ensure a valuable return on your sponsor’s investments. Simply put: You need to over deliver in every facet of your partnership and be aggressive about discovering new ways to add value. As the industry has evolved in the last decade the importance and value of a dynamic website is starting to get lost. Social media is king – for good reason – but your digital strategy shouldn’t stop there. Yes, social channels are an essential component of every partnership, but your website remains an unbelievably effective asset to promote yourself and your sponsors. And, as you will see outlined below, your website can ultimately be a catalyst to help grow your social media following. And vice versa. But in order to execute this effectively – in a way that will bring your sponsors the additional value and reach they desire – you have to develop a season-long strategy and remain dedicated to executing it throughout the year. It isn’t easy – but it’s worth it. The potential success of this initiative starts with a strong commitment to your website. While it sounds simple, many people in the motorsports industry launch a fancy website and then do very little work keeping it maintained. This doesn’t work. In order to be successful and generate significant growth, you have to invest the money and resources needed to make your site engaging and valuable. Then, you have to get to work: Setting goals, creating a content strategy (more below) and then executing on those plans throughout the year in a way that will deliver results. It doesn’t matter if you’re a startup team, or in the infancy of your racing career, you need to be dedicated to building a dynamic online presence. Over time, your work will pay off: Engagement, impressions and followers will increase. The ROI for your partners will be tangible, measured and shared through your annual reporting. The positive impact will be felt across the entirety of your business – a reward well worth the effort. Communication with your sponsors is essential throughout every phase of this process – strategy development, in-season execution and recap measurement/reporting. From the outset, make sure sponsor representatives are active participants in your planning process. Ask them plenty of questions and solicit their feedback. This will help you cultivate the relationship and, most importantly, integrate their insights into your team’s strategy. Remember, with sponsors: Their goals are your goals. Your website strategy should showcase and support the entire sponsorship program. Once your strategy is finalized build a presentation deck that highlights your overall content strategy and annual goals and present it to each of your sponsors before the season begins. Then, once the season is rolling, make sure you consistently follow-up to showcase your progress. Sponsors are accustomed to flashy presentations in the preseason each year – but proactive follow-up is a rarity. Designate specific times throughout the year for these updates and utilize that time as a forum to review the progress and to discuss any opportunities to improve and evolve your strategy. The collaboration – and the results – will be beneficial to the relationship. Content is king. The bulk of time you spend developing your website should be focused on creating content. Really good content. Remember, you’re working in the entertainment business and your fans have tons of other options online. The days of simply posting vanilla race reports and press releases are over. Think of your website as an independent media outlet and build an editorial calendar that tells your story and keeps the site updated consistently. A dynamic mix of content is important: Race coverage, feature stories, blogs, video pieces, Q&As, personality features, tech pieces, commentary on pop culture and life away from the racetrack. There is no shortage of options – you just need to discover and highlight what makes your brand unique, interesting or otherwise entertaining to fans. If you’re having trouble getting started, ask your fans directly what types of racing content they find particularly engaging. Your website gives you complete freedom – use it to create your own independent voice in the industry. If utilized correctly it can be a vehicle to promote your message, highlight your success and – ultimately – bring added value to your partners and sponsors. We’re stating the obvious, but your sponsor’s brand should be visible prominently throughout your site. This include their logo, company mission, key messages, and activation initiatives. Your website should be a living representation of your sponsors and a showcase of their involvement in motorsports. Their branding should be integrated into the framework of your site – include logos for major sponsors in your header, build a spot for all your partners in the footer and create space for click-through advertisements throughout the entire site to highlight your partners and their marketing initiatives. Once you have that established, then continue to make their brand prominent throughout the site in an organic way – slip their logo into photos you use for stories (via logo placements on racecars, firesuits, crew shirts, hats, race transporters, etc. ), into the intro and outro segments of the videos you create and written into the messaging of the stories you write. The more sponsor representatives see and read about their brand while combing through your site – the happier they will be with their investment. Let’s make this crystal clear: The strategy for your website and your social media should be married. Tightly. Happily. The importance and value of social media continues to skyrocket, and while your social channels are essential, they do not replace – or offset – the importance of your website. Your social media should serve as a vehicle to drive traffic back to your website. Social posts should consistently link back to your site to promote new content as soon as it publishes. If you do this consistently fans will become more aware of the content available on your site and it will generate more traffic. Additionally, make your website a hub for your social channels – build social feeds into the framework of your website – so every post you make on social is reflected on your site. This will ensure that new visitors will be exposed to your social content – making them more likely to become followers and frequent visitors to your website. We can help if you have questions about how to build a social media strategy. Further, check out this blog post where we outline our top social media tips for race teams and drivers. All of the effort to enhance your website will be wasted if you’re not monitoring – and sharing – your success. Set up tracking so you can follow all the key metrics: Overall traffic, demographics, unique visitors, which content is creating the most engagement, effectiveness of social media promotion, optimal times to post, etc. Maximize your tracking data so you can understand and articulate what is – and isn’t – working with these reports. 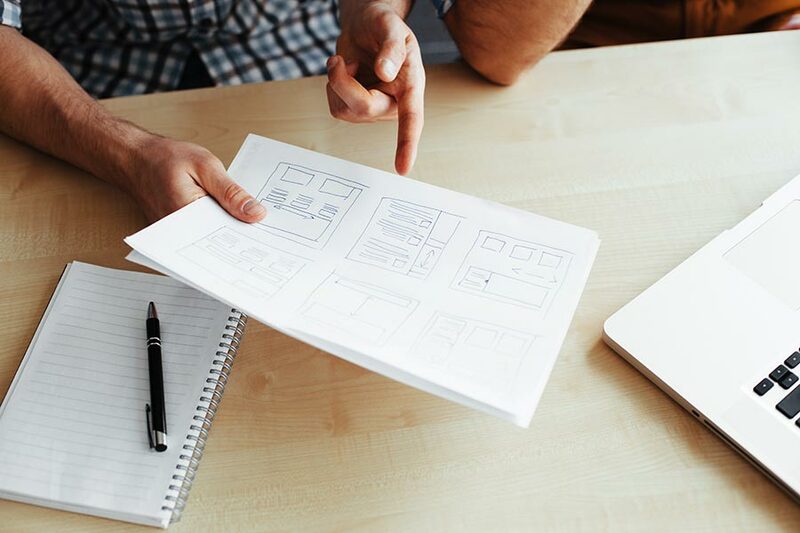 If you’re falling short of the goals you set for your website, make sure you understand why, and be aggressive in making the necessary changes to make them attainable. Once you are comfortable with the measurement tools (and, hopefully, the results) create a formal report to showcase your progress that you can share with sponsors quarterly – or at predetermined points throughout the year. These reports can be as simple as a one-sheet document that highlights year-over-year growth for each quarter, month or race weekend. This will help provide real-time insight into the effectiveness of your content strategy and where you stand with respect to your annual goals. Remember that results won’t always be instantaneous, and every strategy is destined to evolve – it’s your job to understand what is and isn’t working – and be proactive in creating new solutions. In the motorsports industry, sponsors are your livelihood. The deals that underperform are terminated. The deals that over deliver get contract extensions. A website that is visually appealing and consistently delivers engaging content will boost every area of your business. All of your competitors are fighting for the same sponsorship dollars – but not all of them embrace the value a strong website can add to a partnership. Set yourself apart. The time, dedication and investment it takes to ensure your online presence is dynamic, unique and entertaining is worth the effort. The returns will be rewarding.